The United States is suffering from a serious drug epidemic. There were an estimated 2,000 drug overdose deaths in 2017. In Utah, the opioid overdose death rate is 16.4 deaths for every 100,000 persons. That is higher than the national average which is 13.3. If you or someone you know is suffering from addiction in Salt Lake City, there is hope. Read on to learn the differences in inpatient vs outpatient rehab. Residential, or inpatient rehab treatment is a type of drug and alcohol rehab that provides lodging for patients during treatment. Inpatient centers provide around the clock support for patients staying in their facilities. During their stay, patients will go through medically supervised detox as well as counseling. Staff at these inpatient treatment centers may include doctors, nurses, psychologist, licensed therapists, and others. This team works together to help patients learn coping skills and other mechanisms so that they can lead a sober life once they return home. There are both short and long-term inpatient rehab facilities in Utah. The length of the program varies from facility to facility. Often, the patient can choose the length of treatment that he or she needs. Short-term inpatient programs could run for as little as three weeks. The long-term centers may offer programs that are six or 12 months long. What is outpatient rehab, you ask? Outpatient rehab treatments have the same goal for their patients – to give them the tools they need to get and stay sober. The main difference is that outpatient treatments do not provide food and lodging. Outpatient treatment is part-time and not as intensive as inpatient programs. These programs allow recovering addicts to continue to live at home and fulfill their various responsibilities at work and home. Patients who are enrolled in outpatient treatments often continue to work or go to school. Some outpatient treatment services are offered in the evenings for this reason. Outpatient treatment programs may be run by hospitals, clinics, non-profit organizations or church groups. The treatments include individual or group therapy and counseling. Most of these programs follow a series of steps or stages that addicts work through at their own pace. As participants move through the program, the time between sessions grows. Many patients are able to bond with the other participants in the program and find a support system that understands the struggle of addiction in a way that family and friends can’t. Deciding that you are ready to leave your addiction behind is a brave first step. Now you need to consider what type of rehab program will be best for you. Here are a series of questions you should consider to choose the right type of program for your needs. Do you Have a Severe or Complicated Addiction? One of the biggest considerations is how severe your addiction is. Because outpatient rehab is part-time, it is best for those who have do not have complicated or severe addictions. If you have a secondary mental health issue such as anxiety or depression, bipolar disorder, borderline personality disorder, cyclothymic disorder, or schizophrenia, you should consider inpatient treatment. Studies show that treatment for addictions is more effective when secondary mental health issues are dealt with during therapy. Outpatient programs typically don’t have the resources to deal with severe medical conditions or mental health considerations. How Conducive is Your Home Life to Getting Clean? The next thing you need to think about is how your home environment will support or detract from your sobriety. 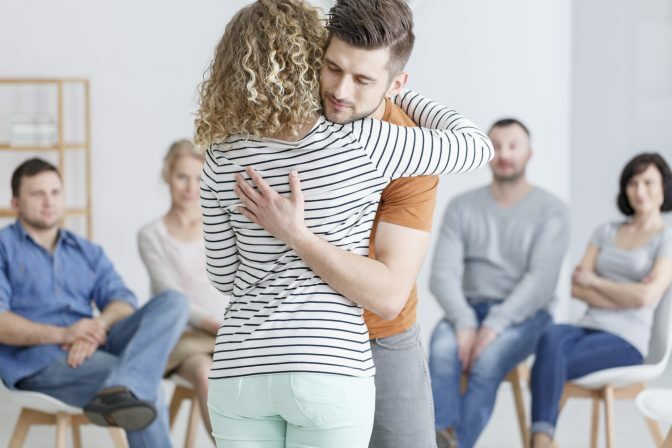 If you have a strong support system and don’t have many triggers at home and work, then outpatient programs may work well for you. On the other hand, if your social circle and home life enable your addiction, you will have a better chance of success away from it. Research shows that inpatient, residential rehab treatment has a higher success rate than outpatient programs. This is because you get to live in a stress-free, positive environment with 24-hour care and support. Dealing with addiction is a fragile time for most people. Some couldn’t do it without the constant interaction between family and friends. Others need to get away from the negative influences, triggers, and responsibilities in order to focus on their own recovery. 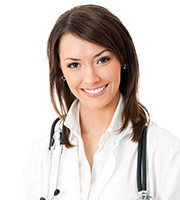 Inpatient centers provide rigid, structured daily schedules. You will have little choice in when you get up, eat, participate in various therapies and so on. Many recovering addicts crave the routine and structure of a rehab facility. They know that the program works and they just need to show up and the staff will take care of the rest. With outpatient programs, the burden of recovery falls on the shoulders of the addict. He or she will need to be diligent in getting him or herself to therapy on time and consistently. There is little enforcement. If you don’t show up, you could derail your progress. If you need someone to monitor you, an inpatient center will be best. Can You Step Away From Life? When people attend residential rehab centers, they take a step away from their regular life. They aren’t able to keep their jobs or go to school while in treatment. Parents will need to make arrangements for the care of their children while they are in treatment. Some people are unable to step away from life to get clean because of their responsibilities. In those cases, outpatient treatment is their only choice. Yet, others feel they must step away from their normal routine to make progress. It really is a personal decision about what is best for you. Thanks for reading about inpatient vs outpatient rehab in Salt Lake City. We hope you now understand the pros and cons of each to help you decide which option is best for you. If you or someone you love is addicted to any substance, there is hope. Investing in rehab is the best way that people who are struggling with addiction can get on a path of healing and recovery. Remember, a clean and sober life is possible. We know addiction hurts. At Better Help Addiction Care we are here to help you get your life back on track. Next, learn what to expect during your first year in recovery from addiction.